Standard - £32.99 Only 9 left! Tiki culture, otherwise known as vintage South Pacific all-things-60's-kitschy-cool is about to find a profound reincarnation unlike anything before! We've travelled the world looking for a good Tiki stuff and the haphazard collection of mugs, masks, and menus we’ve gathered so far will no longer be enough. Despite the spectacles of tiki bars, Hawaiian shirts, and the ambrosia that is the Mai Tai we needed a little more of a full-on transformation that can be fully embraced. 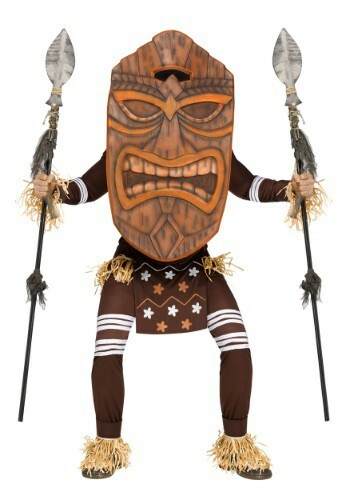 Step fully into this enchanted realm of exotica music and ancient tales with this Tiki Warrior costume. He looks straight out of the classic kitsch culture brought over after WW2, and may just freak out an adventurer or two, but that is only going to enhance your enjoyment. Tiki has always embraced the weird, after all. 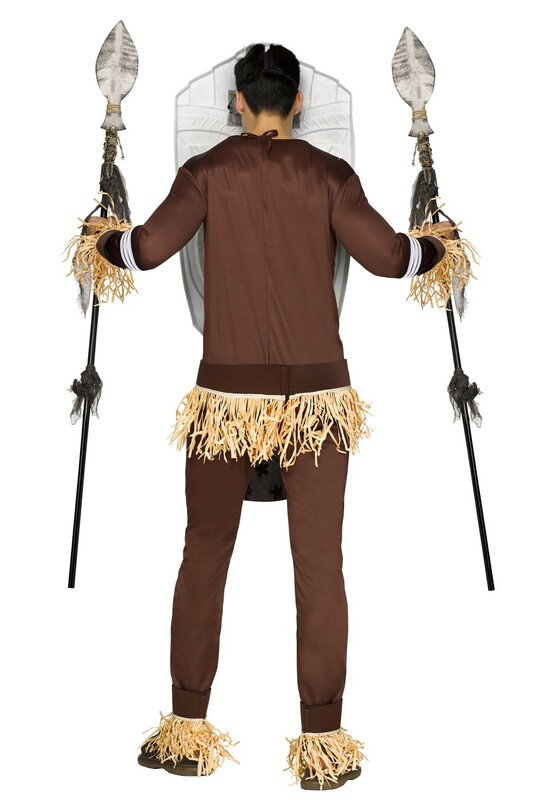 The oversized mask has a black screen for your eyes and wondrously grassy wrist and ankle cuffs with Velcro closures. 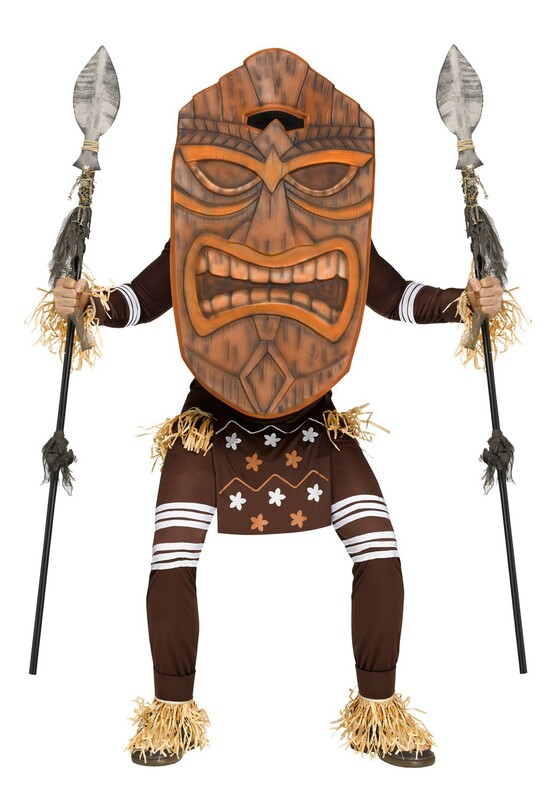 Add a few spears or torch accessories for an even greater transformation as your entire body will begin to tremble with the might of the Tiki! As always, when you go out and enjoy those super sugary and very alcoholic drinks, be sure to party responsibly, or you may incur the wrath of Pele, the goddess of fire! She doesn't mess around, and neither should you.